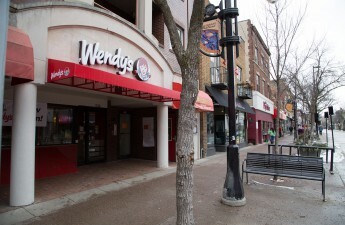 During a typical lunch hour, the Wendy’s restaurant on State Street is packed with University of Wisconsin students and young professionals scrambling to get a quick fix of chicken nuggets or french fries as they head on their way. But Tuesday afternoon, the nuggets sat at the bottom of the deep fryer uneaten, and the booths of the restaurant were empty and quiet. 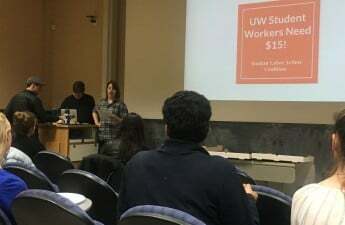 Outside, a group of UW students, community members and members of the Coalition of Immokalee Workers protested the fast food chain for ignoring unfair wages and working conditions for farmworkers. It’s part of an ongoing “Behind the Braids” national tour sponsored by CIW and other Fair Food allies. 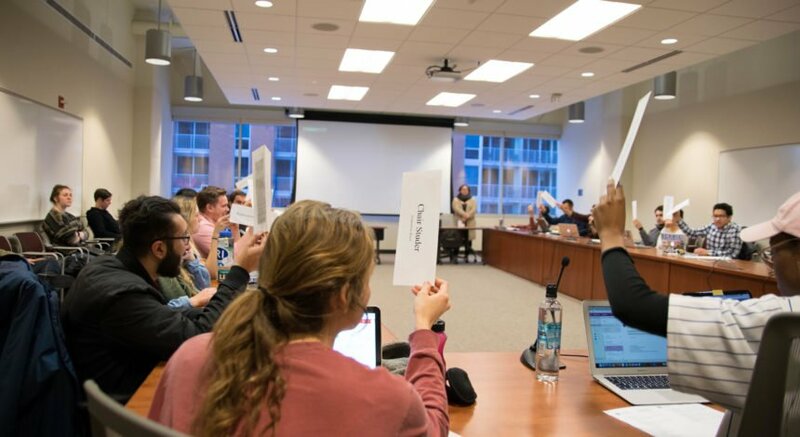 Tomato farmworkers are facing the most pressing working rights issues, UW sophomore Martin Calderon argued. 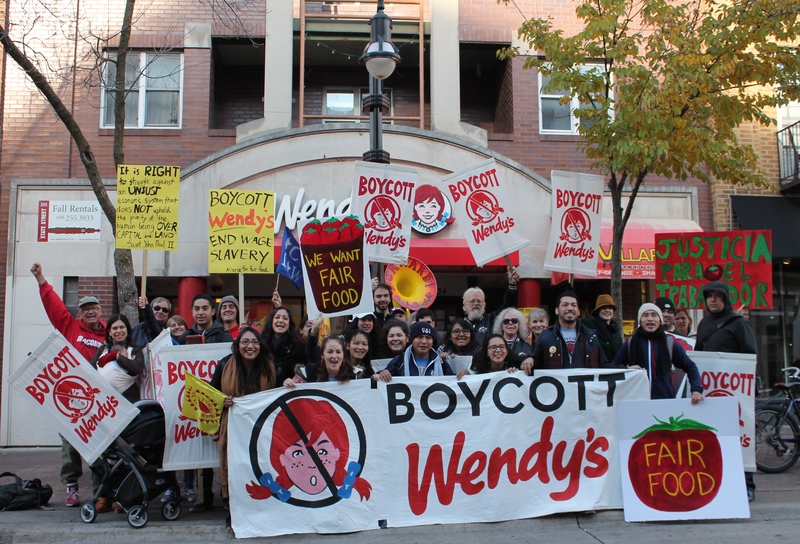 Madison resident Jim Penczykowski said he appreciates Wendy’s food, but at the same time there is a great deal of concern that people’s rights are not being respected during the production process. “The food we are eating should come from people whose labor is respected,” Penczykowski said. At the moment, farmworkers, specifically those who cultivate tomatoes, are not being treated fairly, Cruz Salucio, a CIW member and tomato farmworker said. Having worked in Florida in the fields, Salucio said he feels workers’ rights are respected there because of organizations like CIW that are able to come out on the fields and educate them on their rights. The story for workers in Mexico, however, is starkly different. In the last two years, Wendy’s has stopped buying their tomatoes from Florida and started buying them from Mexico. In shifting their purchases out of the country, Salucio insisted they have neglected the rights of workers in Mexico. Even though the situation for workers in the U.S. is slowly getting better, Mexican laborers still wait for theirs to even begin to improve, Salucio said. 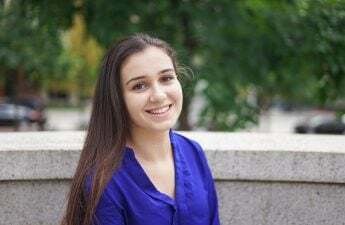 While frequent Wendy’s diners Sammi West and Noah Kuezni agree that workers’ rights should be respected, they said the protest isn’t going to keep them from eating at the fast food chain. Calling the location of the protest “not ideal,” West said she felt going to a corporate location would have created a bigger impact. The point of the protest wasn’t to boycott the specific location, Salucio said. Rather, it was meant to raise awareness of the issue and have managers at all protested locations pass along the word, he added.